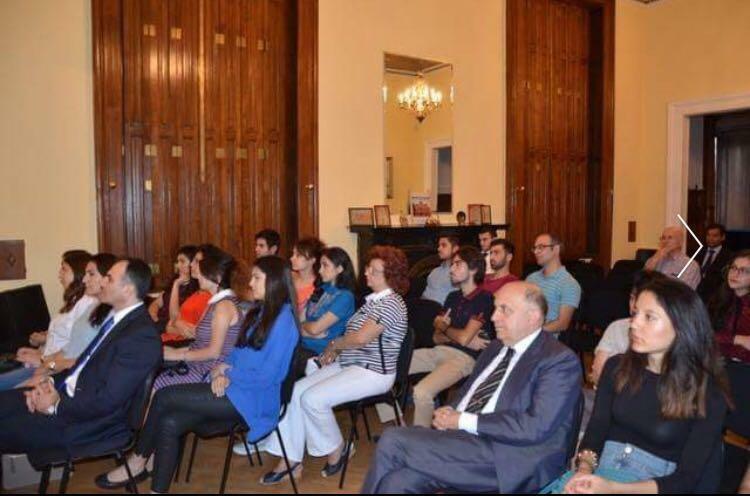 Azerbaijani Embassy in Hungary held a presentation of documentary "Traces of the Historical Truth" about Armenian vandalism, Trend reported. 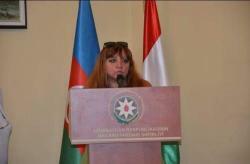 Documentary cycle is prepared by professor of Baku Slavic University Shelale Hasanova with the financial support of Council of State Support to Non-Governmental Organizations under the President of the Republic of Azerbaijan. Based on references to American, European, and Armenian authors, the first movie debunks myths about the so-called "the first Christian country in the Caucasus". The second film "Traces of Azerbaijanism in Yerevan" attracts the attention of the audience with the original soundtrack - rap song "Iravan", written specially for this documentary. It combines facts, bearing traces of Armenian vandalism against the cultural layer of the medieval town of Iravan. The event was attended by representatives of the diplomatic corps, science and culture of Hungarian Diaspora organizations. 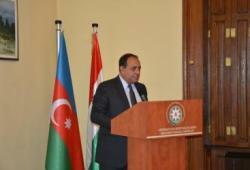 Introductory remarks were made by Azerbaijani Ambassador to Hungary Vilayat Guliyev, who noted the importance of documentary films and books targeted for exposing the Armenian falsifications. Overall, since the beginning of the Nagorno-Karabakh conflict and occupation of Azerbaijani territories, Armenian aggressors destroyed 1,200 historical and architectural monuments, looted 27 museums, over 100,000 items were exported to Armenia. In addition, the Armenian occupiers destroyed 152 religious monuments and 62 mosques, 4.6 million books in 927 libraries, including the Holy Koran and rare Islamic manuscripts. One of the manifestations of Armenian vandalism is altering the historical toponyms of Karabakh. For instance, they call the palace complex Shahbulagh as "Surenavan", and Aghdam as “Akna”. There are myriads of such examples of erasing the traces of genuine Azerbaijani history. Another evidence of the Armenian crimes against the Azerbaijani culture is the export to Armenia of historical items found in more than 15 destroyed and looted mounds in the occupied Aghdam region of Azerbaijan.